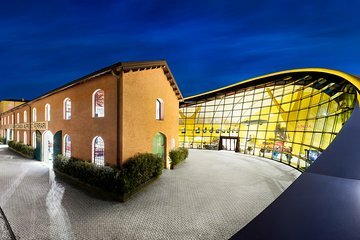 Follow in the footsteps of one of Modena’s most famous former residents, and learn about the birth of the Ferrari brand, when you visit the Museo Enzo Ferrari. Secure tickets in advance and enjoy skip-the-line access when you arrive. Once inside, you’ll explore the workshop space that once belonged to Enzo Ferrari’s father, discover numerous rare vehicles, see multimedia exhibitions in the museum’s new pavilion, and more.